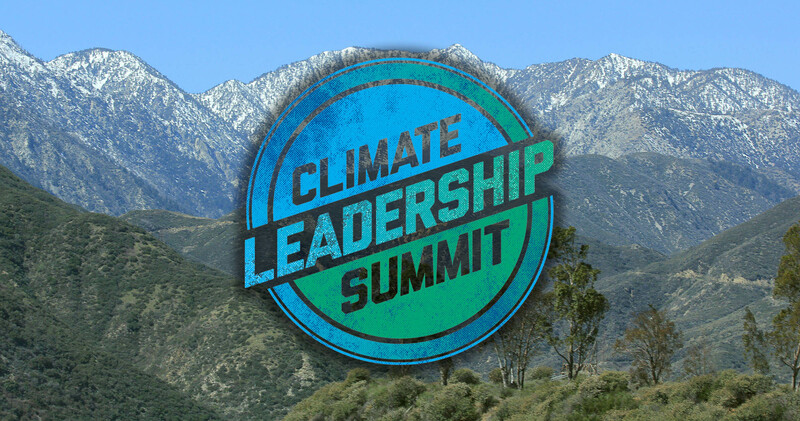 Claremont McKenna College has been selected to host the National Campus Leadership Council’s (NCLC) 2016 Climate Leadership Summit on Saturday, April 23, from 7:30 a.m. to 9 p.m.
CMC students Sam Becker ’19, Will Su ’16, and Jessica Bass ’17 submitted a proposal nominating CMC as host of the 2016 Climate Leadership Summit. The NCLC, Defend Our Future, and the Environmental Defense Fund then selected CMC to host the only summit on the West Coast. Students from The Claremont Colleges and other colleges and universities, members of academia, corporate executives, politicians, and the broader community within California and the Pacific Northwest are expected to attend the summit. Bringing together public officials, business professionals, academics, and student leaders, the summit aims to elevate and inspire innovative approaches student bodies are taking to make their campuses and communities greener and more sustainable. Members of The Claremont Colleges community (students, staff, and faculty) can attend the summit free of charge. Students from other colleges and universities can purchase tickets for $10. General admission tickets are $20. For more information on the Climate Leadership Summit, including registration, event schedule, guest speakers, and more, please visit cmc.edu/climate-summit. For questions regarding the Climate Leadership Summit, please contact Sam Becker, Executive Director, at sbecker19@cmc.edu, or Will Su, Chief of Staff, at wsu16@cmc.edu.